You have graduated from tee ball and looking forward to something a little more challenging. Welcome to machine pitch and coaches pitch. If you enjoyed tee ball, then you will love this next step. While it may not seem like much, kids do progress a lot during these years. Coaches pitch drills and machine pitch drills will be a notch above tee ball drills. Leagues across the country do coaches pitch and machine pitch a little differently. Some have coaches pitch first, and others have machine first. 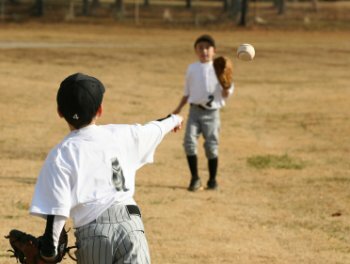 Since coach’s pitch is more like live pitching, I would suggest coaches pitch last, just before the boys move on to kid pitch. But either way works out fine. And rules for this level also differ across the country. The level of play is pretty laid back, so there are not many arguments over rules, just be sure you have a good understanding of them. Most coaches pitch and machine pitch leagues nowadays do not even keep score. Player development and enjoyment should be the only emphasis with coaches pitch and machine pitch. Coaches pitch drills and machine pitch drills should be a step up from tee ball. Most kids will come from tee ball knowing how to run the bases. Your first couple of practices you might have base running drills just as a refresher course. But hopefully you won’t need to run that drill for long. You should start to see a few players being able to both throw accurately and catch the ball. Try and pair those players together. Those will be the players you will play at pitcher and first base in the beginning. Others will learn watching them make the throw and occasional catch. Kids at these ages usually can throw the ball. Throwing the ball accurately and catching it are the problem. Have the players try to throw at the other player’s chest. And have the boy receiving the throw to catch with fingers pointing to the sky (hand up). This should be the first step in learning to catch a baseball. Check out more throwing drills at Baseball Throwing Drills. Hitting should be the big emphasis at practice. This is an area where you will see big improvements. Most players will need some work with their batting stance. Teach them to line up across from the plate, with their feet shoulder width a part. Their hands should be on top of each other and touching. And they should be held high before the swing. They should have a hard, but controlled swing. And last but not least, be sure they do not throw their bat. Watch for this in practice and correct immediately. My youngest son had his front teeth knocked out from a thrown bat, so I like to go overboard on emphasizing this point. Check out more hitting drills at Baseball Hitting Drills. There are two more areas to work on with kids 6 and 7. First is introducing them to fielding ground balls, and second is to begin teaching them the rules of baseball. You will only be able to scratch the surface with both of these topics, but it is a good time to start. Lack of practice time is usally a problem at these ages. Be sure you have thought out your coaches pitch drills and machine pitch drills before practice. Things will go much smoother if you are prepared. 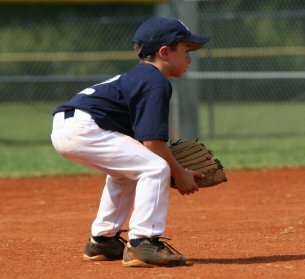 When teaching how to field a ground ball, first show the kids that you must bend at the waist and knees to get down on ground balls. Teach them to move in front of the ball and squat down and put their glove to the ground. Coaches pitch drills and machine pitch drills should begin with a demonstration of the drills. Kids need to see the drill before actually trying it. Coaches in the future will thank you for getting them started this way. Many older kids do not get down to field ground balls. And a lot of that is due to how they were first taught. So you are going to plant that seed in them right here in the beginning. If time allows, I would hit a few ground balls to each player every practice. It will have them better prepared for the next year. Baseball rules take a while to learn. At this age you want to start with teaching the difference between a force out and when you have to tag a runner. It is one of those things that we adults know automatically, but the kids will struggle with in the beginning. They are a little too young to be thinking what they will do with the ball if it is hit to them. They just want to stop the ball. But now is the time to start planting different seeds in their thought process. A few players will catch on to this, but not many. But at least they have been exposed. 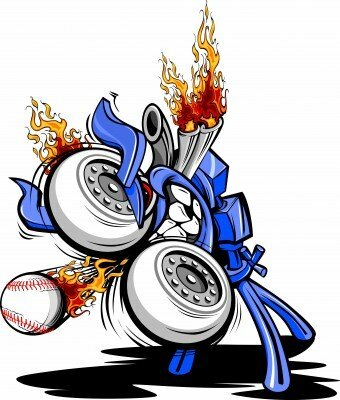 Here is a recap of coaches pitch drills and machine pitch drills. First, work on throwing and catching the ball. Second, work on their batting stance, their swing and their hitting. This skill will probably take the most time. And the third drill is setting up running situations and teaching the players when there is a force out and when you must tag a runner. With coaches pitch and machine pitch you may have a few players ask who won the game. Just tell them you think both teams played a really good game and both teams won. That answer will work almost every time. Let me tell you, really enjoy these years because things will change soon.